PRIVATE TOUR OF PITTI PALACE AND BOBOLI GARDENS TOUR INCLUDES: Private tour guide, entrance tickets to Boboli Gardens, Palatine Gallery and Royal Apartments. Additional cost for tickets may apply for special exhibits. Not Included: Entrance tickets to the other museums within the complex. Closings: First and last Monday of the month, New Year’s Day, May 1st and Christmas Day. Note hours vary by season; please inquire for current schedule. Note: Explore the other museums on your own or with our guide. Additional time with our tour guide can be arranged. The Pitti Palace and Boboli Gardens is a big complex. The Pitti Palace and Boboli Gardens complex contains an array of small specialty museums. Your tour with our private tour guide starts at the Galleria Palatina, featuring works by such Italian artistic greats as Raphael, Rubens, Titian, Caravaggio and Velasquez, as well as a number of important Flemish works and ancient sculptures. Your tour will continue onto The Royal Apartments of the Pitti Palace offer a look at royal life during the Medici times. This suite of 14 rooms are virtually unaltered since they were inhabited by the Medici family and their successors. 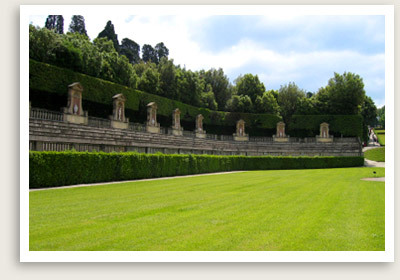 Your tour will continue onto the Boboli Gardens, formal gardens dating from the Medici era, extend from the Pitti Palace to the top of the hill overlooking Florence with fountains, statues, a lake, an amphitheater and other sights to explore. After traipsing around the many garden paths, you can stop and have a cappuccino in an 18th century coffeehouse on the grounds. After your time with the guide, the remainder of your time may be spent enjoying tthe rest of the museums or simply relaxing in the gardens. The Pitti Palace and Boboli Gardens houses several museums: the Palatine Gallery, the Silver Museum, the Museum of Modern Art, Costume Museum and Carriage Museum. Silver Museum houses a glamorous collection of silver, porcelain and jewels, much from the personal historic collection of Lorenzo de Medici. The museum itself is beautiful, its walls decorated with 17th-century frescoes. Museum of Modern Art –This museum, founded in 1914, contains 30 rooms with art dating from the Neo-classical period up to World War I. 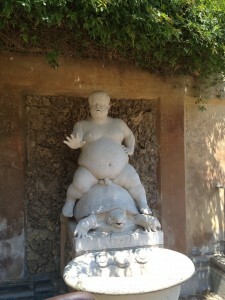 The museum’s sculpture collection is particularly extensive. Costume Museum – This fun museum takes you through the evolution of fashion, from the 18th century to the present. The collection includes a group of 90 theatre costumes. Carriage Museum – This whimsical museum features the gilded carriages used by the nobility of the eighteenth and nineteenth centuries. The museum’s crown jewel is a silver carriage, belonging to Ferdinando II di Borbone, King of Naples. 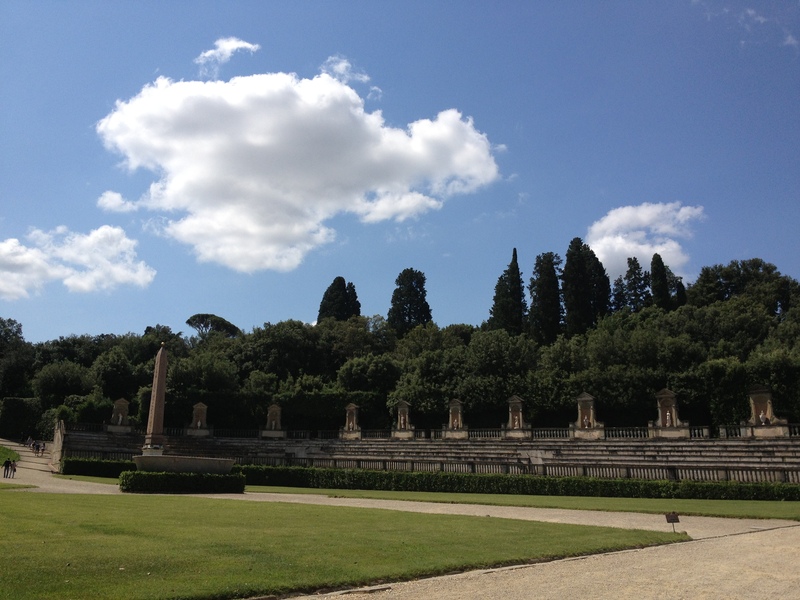 Book our custom and private tour of Pitti Palace and Boboli Gardens. Inquire.